How do I buy The Barre Code Franchise? 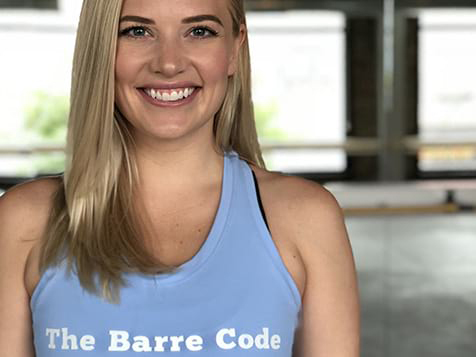 The Barre Code is one of the fastest growing franchise brands in the U.S., and it's helping the already huge fitness franchise industry grow. To buy a Barre Code requires a total investment between $222,500-$46,000 (includes the franchise and training fees). Many studios can be opened as quickly as 120 days. Multiple revenue streams include monthly auto-pay memberships, apparel and on-demand classes. Comprehensive marketing and support is provided. The Barre Code is a flexible franchise opportunity perfect for semi-absentee owners seeking to diversify their portfolio with 3 to 10 studios across a protected territory, as well as for fitness enthusiasts who seek hands on ownership of 1 or 2 studios in their community. Franchise owners with The Barre Code are supported by a world-class corporate headquarters and benefit from the stability of reoccurring revenue from auto-paying members, as well as amazing merchandise and certification fees from trainers. Open The Barre Code in any of these available states: AK, AL, AR, AZ, CA, CO, CT, DC, DE, FL, GA, IA, ID, IL, IN, KS, KY, LA, MA, MD, ME, MI, MN, MO, MS, MT, NC, ND, NE, NH, NJ, NM, NV, NY, OH, OK, OR, PA, RI, SC, SD, TN, TX, UT, VA, VT, WA, WI, WV, WY. The Barre Code is a flexible fitness franchise opportunity perfect for semi-absentee owners seeking to diversify their portfolio with 3 to 10 studios across a protected territory, as well as for fitness enthusiasts who seek hands on ownership of 1 or 2 studios in their community. Franchise owners with The Barre Code are supported by a world-class corporate headquarters and benefit from the stability of reoccurring revenue from auto-paying members, as well as amazing merchandise and certification fees from trainers. The approximately 2,000 sq. 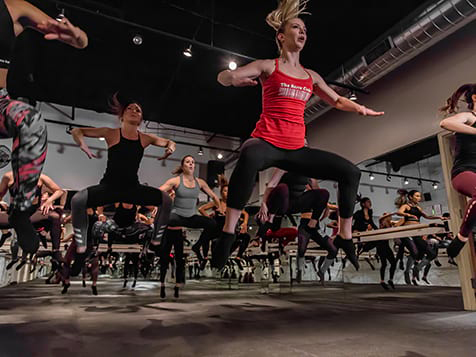 foot studio immerses members in a unique experience centered around the ballet barre while incorporating elements from dance, kickboxing, HIIT and yoga. The clean and bright layout features a sleek modern white design punctuated by the color pops of The Barre Code brand. Proprietary studio scents, trend-forward apparel, and curated playlists mixed just for TBC franchisees are all part of the experience that evokes all five senses. Beyond the lobby, apparel store and changing areas, clients enter the classroom which was designed by HQ on behalf of franchise owners. Inside the classroom, the most effective and positive workout of your life awaits. Constantly changing class styles focus on cardio, strength and restoration with an emphasis on motivation, positivity, and empowerment. SELF Magazine called it “one of the best workout routines in the country” and any person who takes a class will see why. Speed to open and speed to profitability is a mantra for The Barre Code. 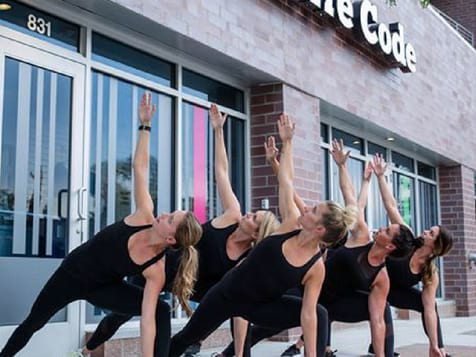 Once the franchisee chooses their studio space with the help of HQ, a separate team led directly by one of the founders of The Barre Code provides all studio design services for the franchisee. All signage, equipment, sound systems, and every element of the experience are coordinated by HQ out of Chicago, IL. As the physical studio takes shape, the franchisee finalizes hiring of lead trainers who are involved in a seven-week certification program conducted by HQ, which includes in-market visits by the training team! Marketing is supported by the HQ business team and executed by the local franchisee to drive promotional efforts of the Grand Opening. As an owner, each month your teams receive newly-created class routines, custom-curated playlists, editable social media graphics & marketing materials, national marketing campaigns & brand partnerships, seasonal apparel collections, and hands-on business coaching. Sustainability: Boutique fitness has become a lifestyle and is embedded in our culture. Quick ramp-up: Our FastTrax program help builds a significant membership base before your grand opening even occurs! E-commerce business: Franchisee clients drive their own scheduling and payments automatically. Strategic Partnerships: We have created unique national partnerships with Lululemon, Athleta, Propel Water, W Hotels and more than 100 other brands across the country.You will leverage our national relationships to build your local membership base. Semi-Absentee: Franchisees can maintain a full-time job or develop other interests while running one of the country’s premier boutique fitness franchises.